EU leaders finally agreed on a resolution that would make bondholders and depositors pay their cut of the price in case of a bank failure — instead of bailing out banks with taxpayers money. A resolution that is putting an end to the fallacy of the deposits guarantees. There is no reason why in a so called capitalist system, creditors would never lose their investment while taxpayers should be asked to pay for the mistakes of their banks. Yet, this is exactly what has happened pretty much everywhere since the beginning of the subprimes crisis, with the notable exception of Iceland. In most cases, governments have chosen the first option. The case of Ireland for instance, is very revealing. After the Irish banking system collapsed in 2008, the government stepped in to save the entire banking system, leaving all the creditors of the banks untouched, while balloning its own public debt at the expense of the irish taxpayers. Because of this disastrous decision (initially motivated by lying bankers, as leaked tapes just proved), irish citizens will pay the price of the banking bailout for several decades. Under the regime being created, a clear pecking order for collapsing banks is set out: shareholders are first; certain types of bondholders; and then customers who have deposits over the guaranteed level of €100,000 (£85,000). These three types of creditors would need to take minimum losses of 8% of a troubled bank’s total liabilities. The next 5% would come from a resolution fund which has to be built up over 10 years and cover 0.8% of the insured deposits in any given country. Now of course, the devils lies in the details. First it is clear however that this new EU dispositions won’t come into effect to soon (it should be implemented by 2018…). Neither does this really solve the core issue of the banks solvency in the first place, as Klaus Kastner also argues (i agree with him on this). Moreover, some creditors (notably interbank loans) will still remain untouchable which makes the new scheme not really coherent. But some people fear this resolution is bad. Klaus Kastner for instance, argues that the resolution “transforms Depositors into Hedge Fund Investors”. “Taping depositors is an attack on property rights” others say. The thing is, Bank deposits have never been a property right. Banks indeed owe your deposit money, but it’s not your property anymore, it’s just another piece of debt in a pyramid of debts. But how about State’s deposit guarantee? one may ask. Well, your money in the banks have never been safe just because your government tells you so. For instance, the deposit guarantee fund of France has 2bn capital while the deposits supposedly guaranteed exceed 1200bn (see this EU commission report on the matter)… And it’s an open secret that all deposit guarantee schemes in Europe are largely undercapitalized and helpless in cas of a systemic risk. Only naive depositors would still believe their money is somehow protected. All in all, even though this resolution is not, in practice, the best possible, the good news is that it clearly embeds the principle of the bail-in into EU policy, therefore making the right persons liable for the losses that might occur when a bank fails — ie not the taxpayers. 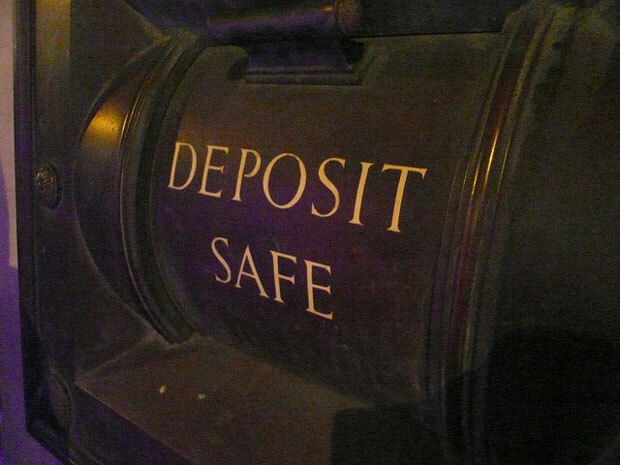 Secondly, I think it’s positive that the taboo surrounding bank deposits protection is finally broken. Of course, this perspective is scary. But it’s not the EU who is transforming depositors into hedge funds investors, rather the EU is finally acknowledging depositors that their banks are indeed err.. hedge funds. As a consequence, some depositors may reconsider their decision when it comes to giving their savings to a bank.